yet there's this gnawing feeling that something is holding you back? constantly second-guessing their own effectiveness. to be less capable than you really are. I call this uneasiness the “impostor syndrome,” and it’s not that uncommon! enjoying yourself along the way! Rekindle your enthusiasm for work, love, and life! Gay men have made great strides in establishing greater personal freedom, plus civil rights in many areas — and yet, there's often a lingering sense that something is not quite right. Through our work together, you can gain the confidence to make the best of your talents, true values, and dreams. 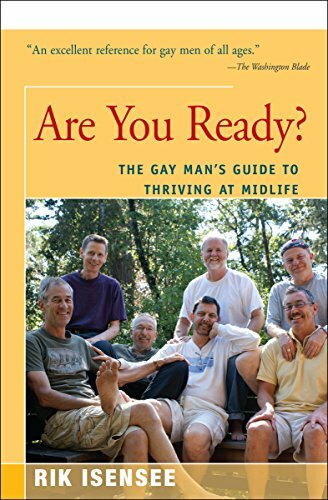 * Rik is a licensed psychotherapist, author of several books for gay men, with decades of experience helping gay men lead a more fulfilling and meaningful life! 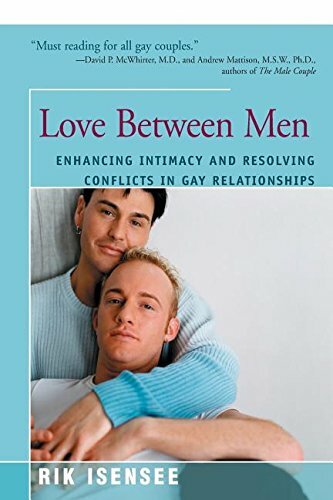 — David McWhirter and Andrew Mattison, co-authors of The Male Couple. “Readers of this book should be ready to experience an engaging intimate conversation about how to live with wisdom and passion while embarked on the uncertain journey of midlife. Gay men of all ages will be enriched by Isensee’s timely and eloquent synthesis of his clinical work and the firsthand accounts of ten remarkably articulate men." and come out feeling better on the other side! Schedule your free initial consult today! Just click on the link, below. create the life you want to lead. The intention to be aware of whatever arises, in the present moment, without a lot of judgment: bring curiosity, friendliness, and self-compassion to your daily life. Stress occurs with any event that requires effort. 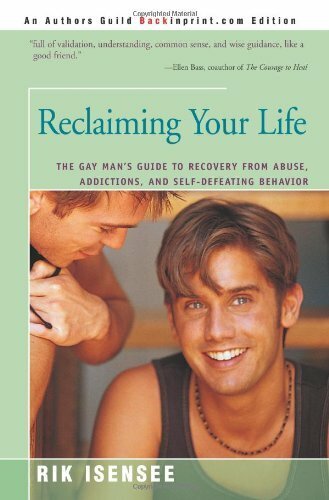 I went on a reading binge when I first came out, and Rik Isensee's books were all extremely helpful to me. If you want to start a relationship with someone, get it off on the right foot and pick up a copy of this book. You or your partner may be dealing with a lot of unwanted baggage that will damage your relationship - it's just part of being gay and being human. Leave some of that baggage behind and enjoy your life. See also Isensee's Are you Ready? and Reclaiming Your Life, both incredibly useful."